Freestanding Wonky Rhino with Engraved Details and 3D Feet. Comes with 2 separate 6mm feet to attach. 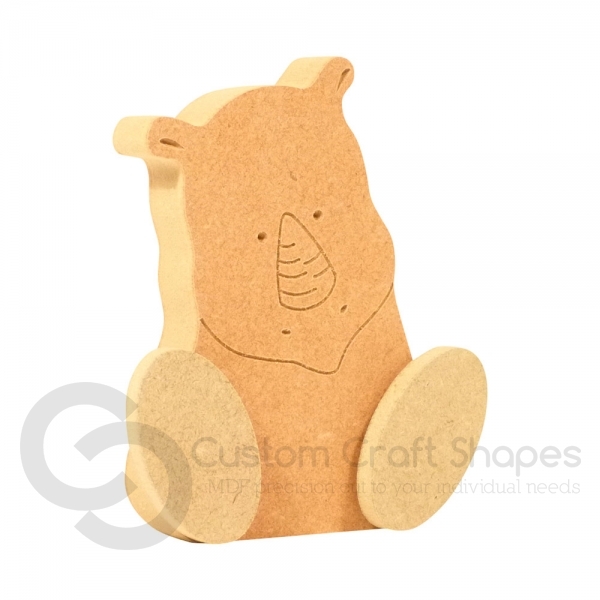 Rhino cut from 18mm moisture resistant MDF, feet cut from 6mm moisture resistant MDF. Small size is 115mm high, Large size is 150mm high.